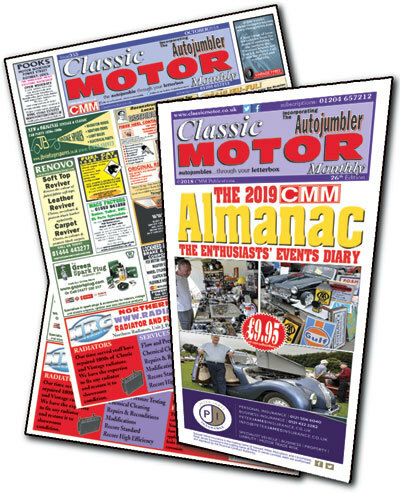 With more events than ever, the Year 2019 Classic Motor Monthly Events Diary & Almanac contains hundreds of dates for the coming year - shows, autojumbles, runs, rallies, auctions, races, etc. 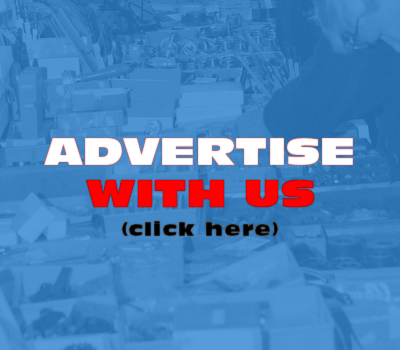 Plus, an updated listing of enthusiast's motor clubs, a full UK transport museums listing and loads of event details (over 2000 of them in the 2018 edition!!). As well as useful services, names and addresses - easier to read, more events than ever - quite simply, the best and most informative pocket-sized events listing in the UK! The Year 2019 CMM Diary & Almanac is our biggest yet. It's now in full colour throughout and at 100+ pages, is a must have! The FULL COLOUR Year 2019 Almanac was included with CMM FREE to subscribers (who were on our mailing list as of Jan. 23, 2019), with the bulk mailing of our February 2019 issue. You can still get your copy by subscribing today! That's right, subscribe today and you can have the 2019 Almanac, worth £9.95 plus p&p, FROM ONLY £1.75 extra when you subscribe to CMM. * And as long as you stay on our mailing list you will then get the Almanac completely free every year. Don't miss out!! 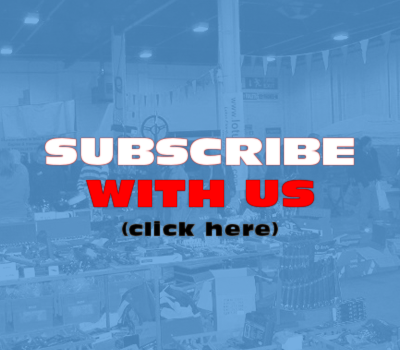 Click here to find out more about subscribing to Classic Motor Monthly, or click here to go straight to our Secure Server Order Form and join our mailing list now. Or you can order the current Year 2019 Almanac separately (or order extra copies if you are a subscriber), only from CMM, at £9.95 including P&P (UK), add £2.50 postage for Europe, £3.50 Rest of the World. To order your copy today, click here. The Almanac on it's own from £9.95 plus P&P or a CMM subscription plus the optional 2019 Almanac from oinly £1.75 extra - it's your choice! Plus, join our mailing list today and you'll be guaranteed a FREE copy of the 2020 Almanac next year*! And don't forget; if you have an events date for the best diary of 2020 tell us now! Email your events details - what, when where and who to contact - at events@classicmotor.co.uk. *Year 2020 Almanac will be mailed out free to all subscribers on our list by noon Jan. 22 2020 with our February 2019 issue, after that date we make a small nominal charge for those that want the booklet in addition to a subscription. The 2019 Almanac is HERE; make it a date!